As Day 3 played out in the WPT Seminole Hard Rock Poker Showdown on Monday, a familiar name surged to one of the top spots. Fresh off winning a Global Poker Award and a televised final table at the WPT LAPC Rockstar Energy High Roller event on FOX Sports Regional Networks, Ho has been on a huge run here in South Florida and hoping it continues to the final table at HyperX Esports Arena in Las Vegas. In October, Ho added a WPTDeepStacks title in Johannesburg for $69,166. She now has $3.3 million in live tournament winnings, including $585,299 on the WPT. Despite that, Ho believes adding her name to the Champions Cup would help solidify her career on the felt. 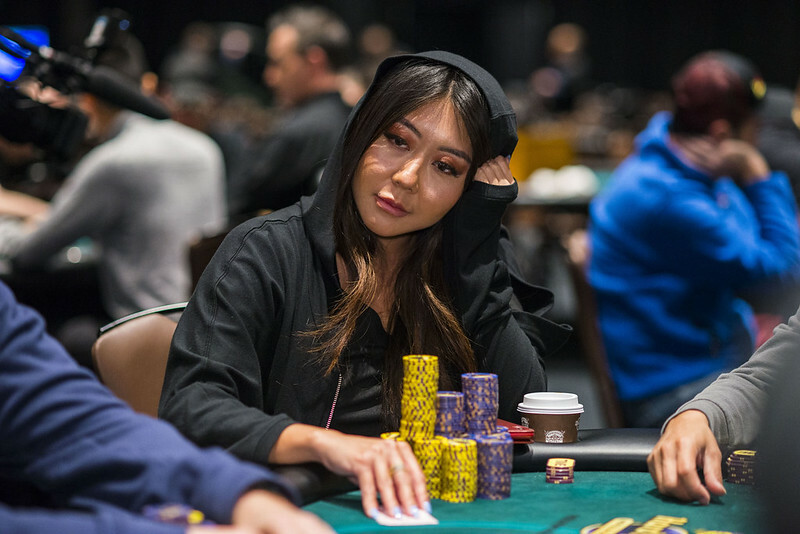 After being named Broadcaster of the year at the Global Poker Awards, Ho took to Twitter to discuss her career. Along with being grateful for the award, she also discussed her role as a broadcaster. Ho studied communications at the University of California-San Diego, and is now pleased to be making use of her skills and degree in the world of broadcasting and media. Her work has appeared on ESPN, PokerGO, and other outlets. She has become one of the top voices in poker whether hosting event coverage or offering strategy analysis. After playing a handful of WPT events this season, Ho has big plans for the World Series of Poker this summer. That includes playing 30-40 events and she’ll also be broadcasting as well. When it comes to poker, would Ho rather be in the broadcast booth or at the poker table?